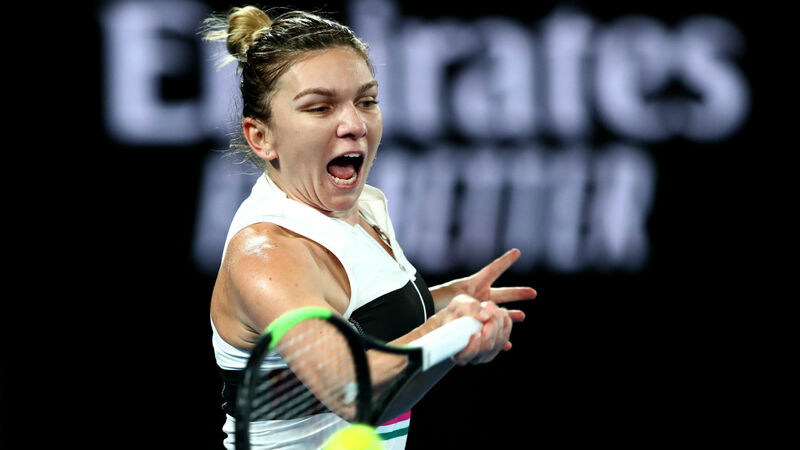 Simona Halep assured she is not having back trouble again and her leg was the source of discomfort in a second-round win over Sofia Kenin at the Australian Open. World number one Halep was forced to a decider by Kenin and revealed in her on-court interview following the 6-3 6-7 (5-7) 6-4 victory that she was "a little bit injured" in the second set. The Romanian ended her 2018 season in September due to a back issue but is putting her latest difficulty down to fatigue, having played just one match before heading to Melbourne Park. Asked for the specifics on the injury, Halep said: "[It's] the leg a little bit, the muscle. In the second set I felt it. But it's because I'm tired. I think it is nothing dangerous. We'll see tomorrow [Friday] morning." Halep, who will face Venus Williams in the third round, was also forced to three sets in her opening match against Kaia Kanepi and confessed it was "very difficult" to recover. "That night I couldn't sleep at all. I had pain in my legs. It was tough," she said. "I knew it was going to be tough because she's hitting so hard. I don't like to play that kind of game. "But I had one day between, it was great. So today I felt better and I was ready to play another match."